The highly anticipated OnePlus 6T is launching EXCLUSIVELY at T-Mobile for more than HALF OFF! The OnePlus 6T is launching exclusively at T-Mobile – a first in the US – on November 1, and Un-carrier customers can get more than HALF OFF. Plus, superfans in NYC can get the OnePlus 6T in T-Mobile’s Times Square store today, October 29, at 5 pm ET – three days before it’s available in T-Mobile stores nationwide or on T-Mobile.com! OnePlus’ much-loved smartphones have never been offered by a US wireless provider, yet there’s demand for the devices. The OnePlus 6T is a flagship phone minus the flagship price, and it lights up ALL the advanced capabilities of T-Mobile’s LTE network, the nation’s fastest. The OnePlus already has a huge fan base in the rest of the world. This device is for anyone who refuses to settle for anything but flagship specs but doesn’t want to fork over an entire paycheck to get it. Bellevue, Washington and New York, New York — October 29, 2018 — Un-carrier customers: This one(plus) is for you … and only you. During the OnePlus US launch event in front of a sold-out crowd of more than 2,000 OnePlus enthusiasts in New York City today, T-Mobile (NASDAQ: TMUS) and global flagship device leader OnePlus announced that the OnePlus 6T is coming exclusively to the Un-carrier, making T-Mobile the first and only wireless provider in the United States to offer a OnePlus device – ever! And to celebrate, T-Mobile customers can get their hands on this super hot superphone for more than HALF OFF! AND Un-carrier customers can snap one up earlier than anyone else exclusively at the T-Mobile Times Square store starting today – and that’s the only place in the world to get the OnePlus 6T for 3 days! Then, starting November 1, the OnePlus 6T goes on sale nationwide in T-Mobile stores and on T-Mobile.com. The OnePlus 6T and T-Mobile’s LTE network were made for each other – blazing speeds, incredible value and a great customer experience! OnePlus has gained global fame delivering superphones packed with flagship specs at a fraction of the flagship price. The OnePlus 6T is no exception. With top-of-the-line specs, the new OnePlus 6T superphone and lights up every speed-boosting advanced LTE technology on T-Mobile’s network (4x4 MIMO, carrier aggregation, 256 QAM, LAA and more). The OnePlus 6T is also the 21st device to light up the Un-carrier’s new Extended Range LTE (600 MHz). It’s a match made in (speedy) heaven. The OnePlus 6T packs 128GB of internal storage, fingerprint under display functionality, 8GB of RAM, a Snapdragon 845 processer, 16MP+ 20MP dual rear camera and 16MP front facing camera, a fast charging 3700mAh battery and a 6.41” 2K (1080x2340) OLED screen. The OnePlus 6T clocks some serious speed, and we wanted our customers to unleash it on the fastest network in the nation. The OnePlus 6T will be available nationwide through T-Mobile stores and on T-Mobile.com starting November 1 at 6:00 am ET. But for those in New York City, beginning at 5:00 pm ET tonight, doors will open for a launch celebration at the T-Mobile signature store in Times Square where you can snap up your OnePlus 6T before it’s available anywhere else! At the celebration, you’ll party with OnePlus and T-Mobile peeps … plus, there will be plenty of giveaways, influencer meet-and-greets and ‘gram-friendly moments. And only with T-Mobile ONE can you get great Un-carrier benefits like taxes and fees included, Netflix on Us for families, data and texting included in 210+ destinations worldwide, Gogo Inflight Wi-Fi for unlimited texting all flight long and one hour of free smartphone Wi-Fi, your own Team of Experts and T-Mobile Tuesdays where you get thanked with free stuff every week and so… much… more! For more information, visit https://www.t-mobile.com/oneplus. Check out T-Mobile’s @AskDes’s OnePlus 6T unboxing here. To catch up on the action from this morning’s OnePlus launch event in New York City – click here! During congestion, the small fraction of customers using >50GB/mo. may notice reduced speeds until next bill cycle due to prioritization. 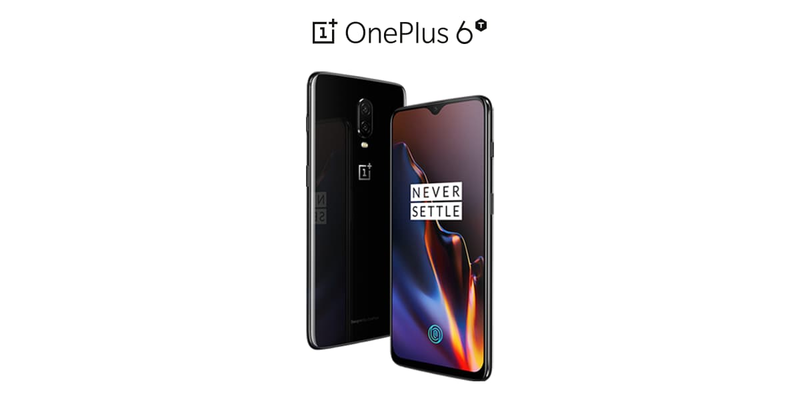 OnePlus 6T: Contact us before canceling wireless service to continue device payments, or credits stop & remaining balance at full price is due. Tax on pre-credit price due at sale. Limited time offer; subject to change. $0 down + $24.17/month x 24, total price before credits: $580. 0% APR. Pricing for well-qualified customers. Must be active and in good standing to receive credits; allow 2 bill cycles. Max 12/account. May not be combinable with some offers or discounts (e.g. Carrier Freedom). As America's Un-carrier, T-Mobile US, Inc. (NASDAQ: TMUS) is redefining the way consumers and businesses buy wireless services through leading product and service innovation. Our advanced nationwide 4G LTE network delivers outstanding wireless experiences to 75.6 million customers who are unwilling to compromise on quality and value. Based in Bellevue, Washington, T-Mobile US provides services through its subsidiaries and operates its flagship brands, T-Mobile and Metro by T-Mobile. For more information, please visit http://www.t-mobile.com.